The winning cocktail will be featured on the drinks menu at The Whip, the esteemed drinking establishment in Mayfair. 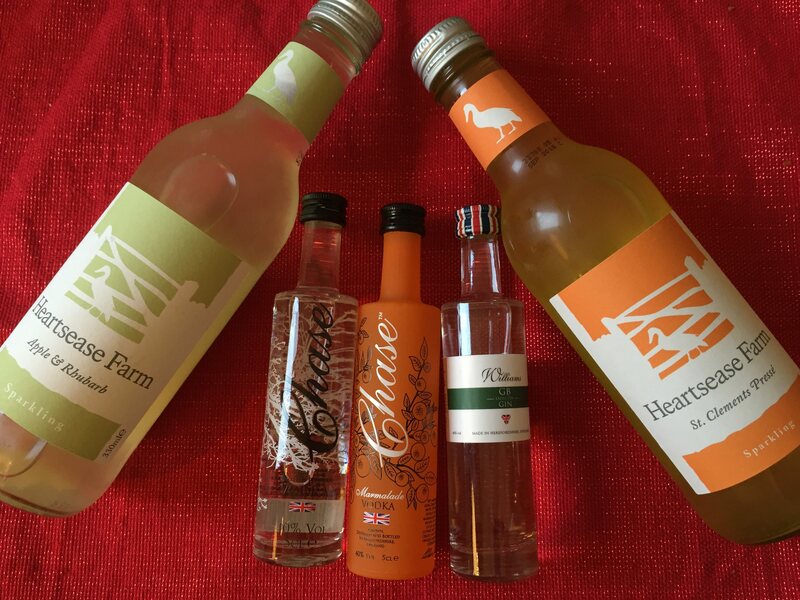 The winner also receives a night’s stay at The Lion, near Ludlow (http://www.thelionleintwardine.co.uk) and 5 cases of Heartsease Farm Premium Sparkling Pressé AND an enviable selection of goodies from Chase Spirits, hand-picked by Mr James Chase himself. 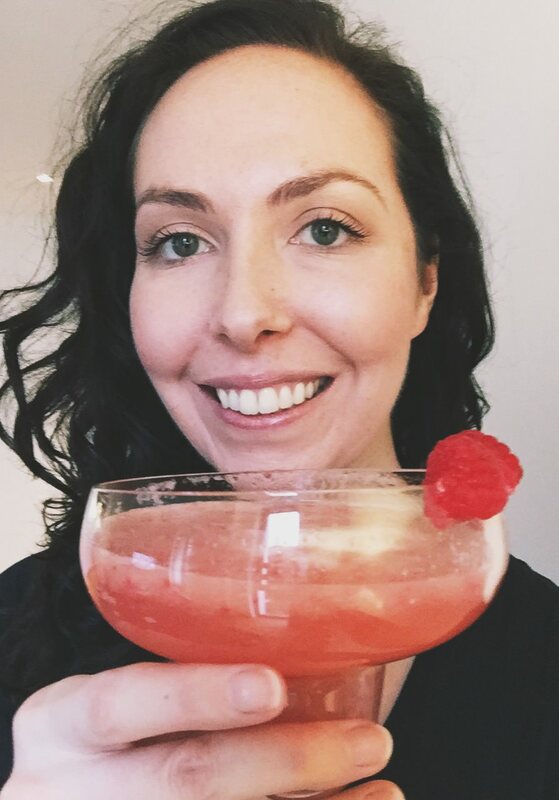 The four finalists will prepare their cocktails for the judges at an event at The Whip; Owner & Founder of Chase Spirits, James Chase, Owner & Founder of Heartsease Farm, William Watkins and one mystery judge (ooooh). So, after all that, this is my entry, The Fruity Yorkshireman! 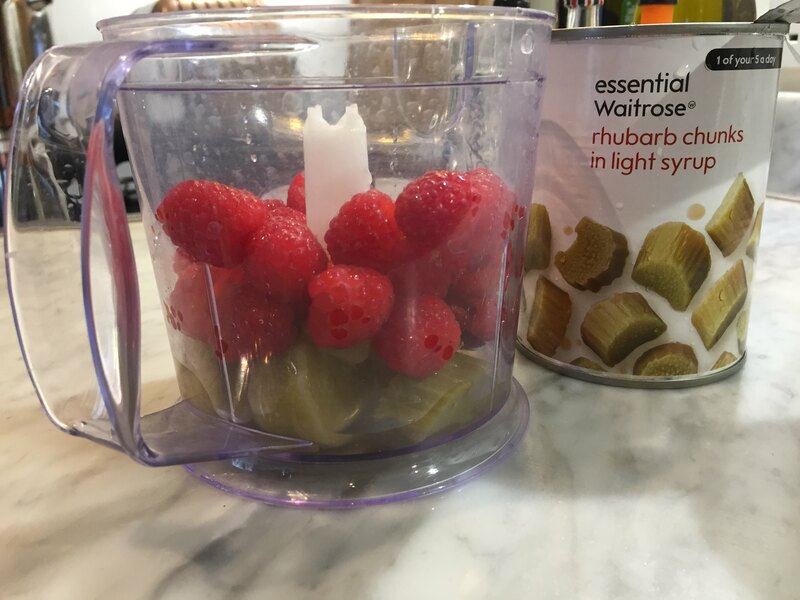 I based my entry on the most British of ingredients, rhubarb and gin. 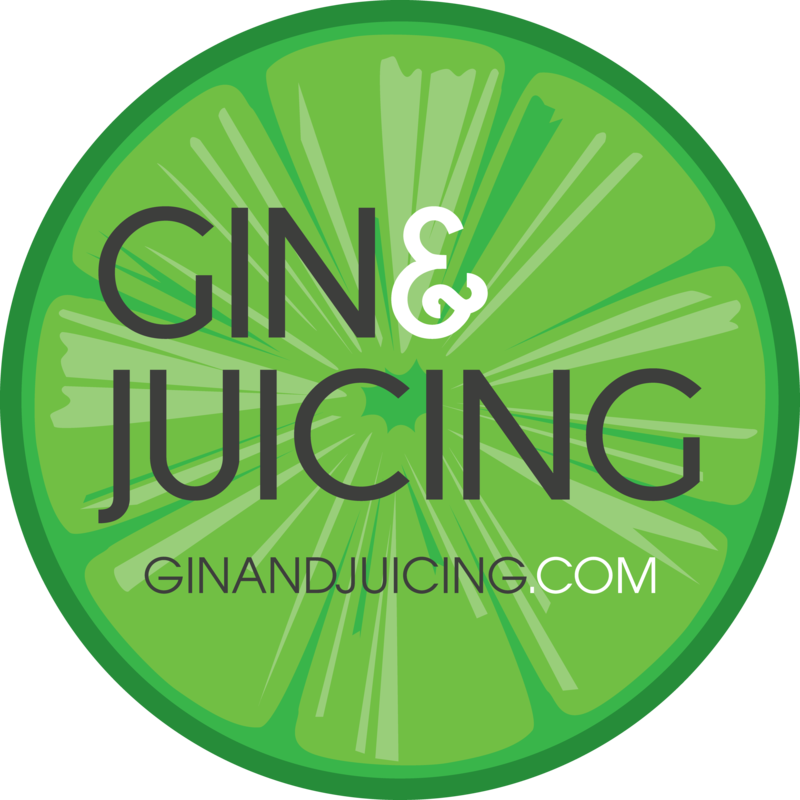 I love gin so much I named this blog after it so it had to be done! 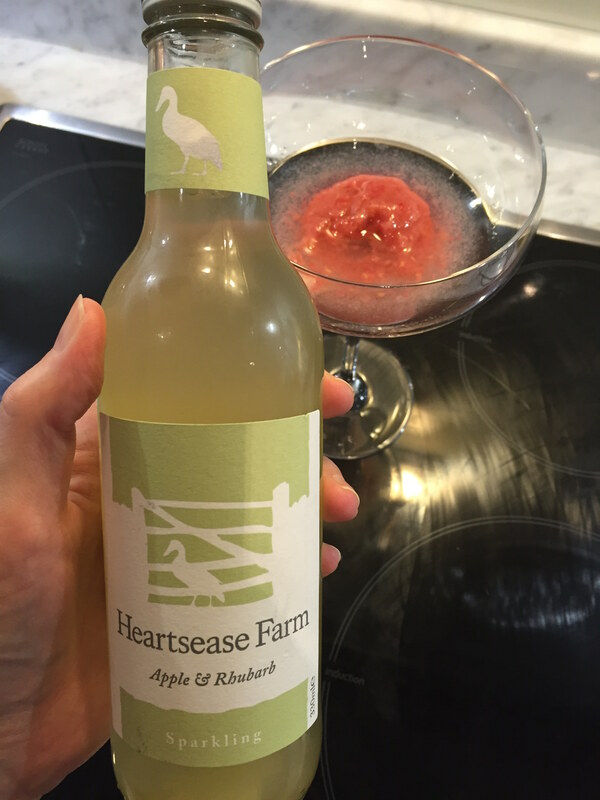 What goes well with rhubarb? Custard! 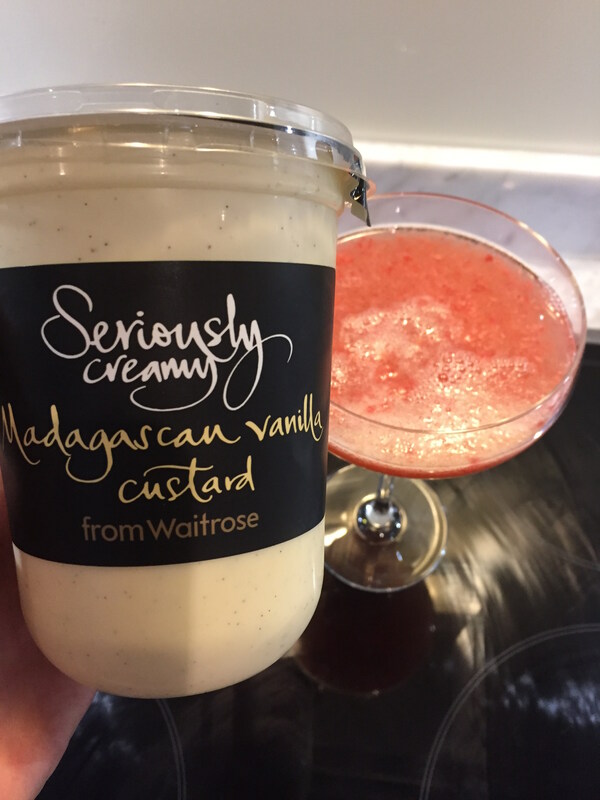 So here we have a fruity and also creamy cocktail that gives you different flavours and textures with each sip. I’m loving the colour contrast here. Done! Look at the colour! 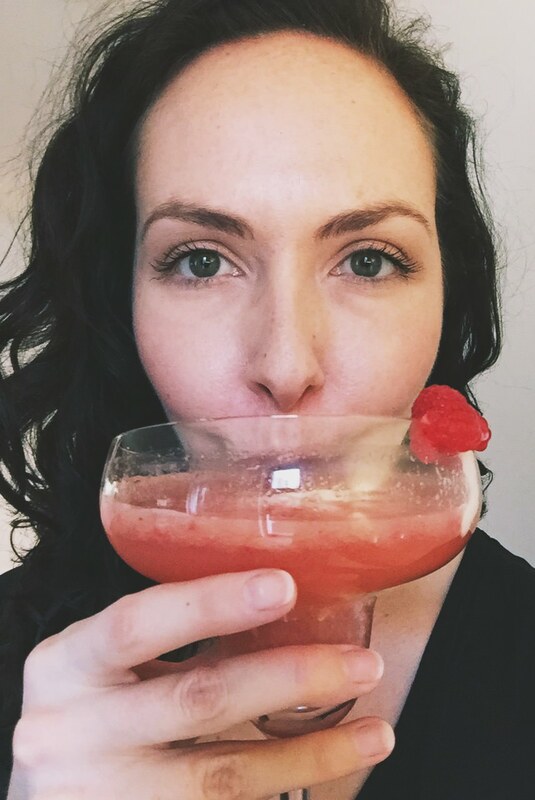 And so we start to build a cocktail. 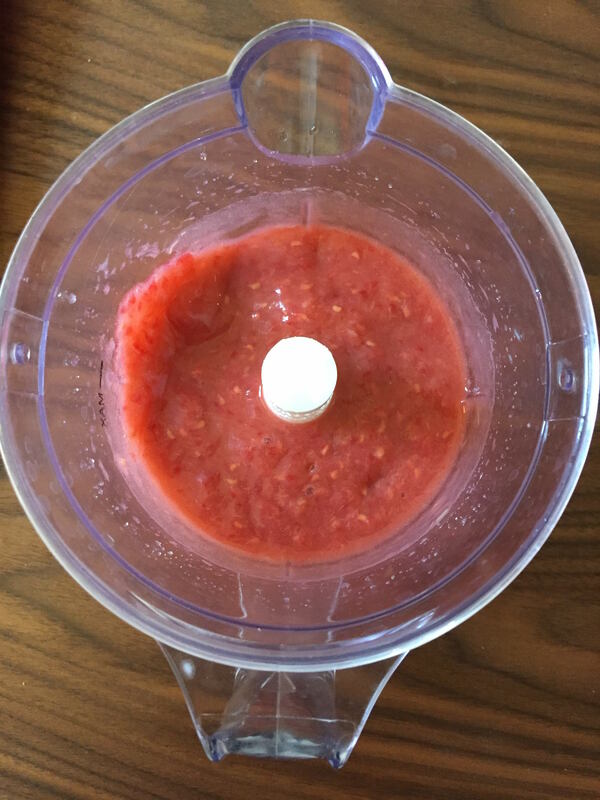 Puree the tinned rhubarb, raspberries and sugar until the mixture is as smooth as possible. 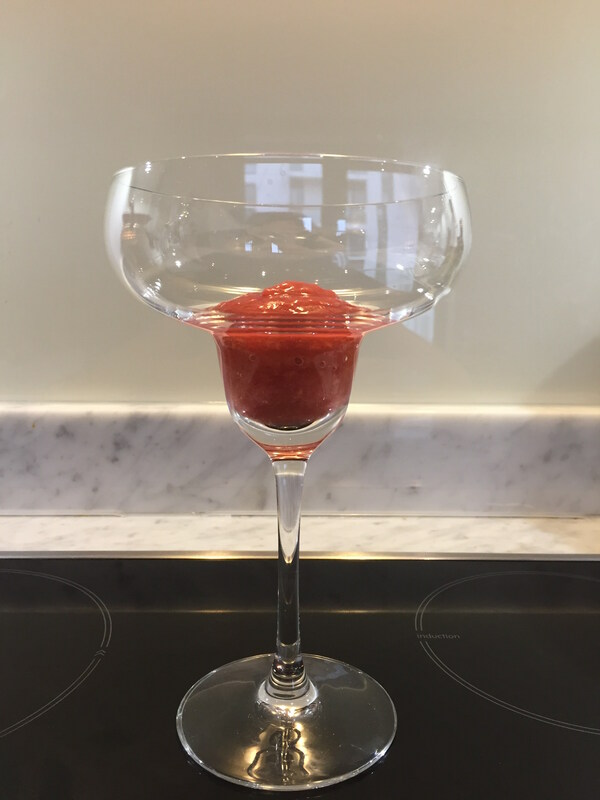 Using a tablesppon, fill the bottom bulb of the margarita glass with the puree. 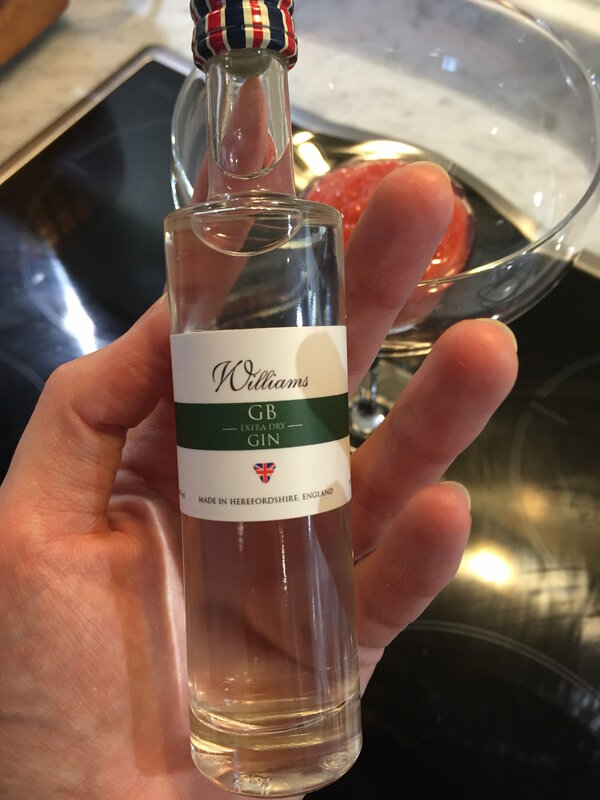 Measure two shots of Williams Chase GB Extra Dry gin and add to the glass and top with Heartsease Farm Apple and Rhubarb pressé, to below two centimeters of the rim. This gin is LUSH. So smooth. I’m surprised this custard lasted the journey home without being devoured. 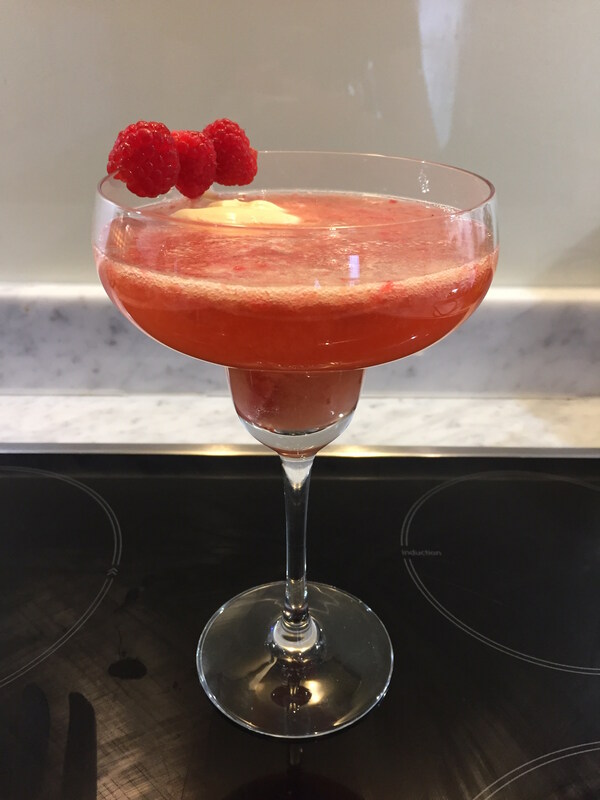 Along one side of the glass, slide in 3 tablespoons of your delish custard and garnish the side of the glass with 3 fresh raspberries. And that, Dear Reader, is The Fruity Yorkshireman! I hope you enjoy! Selfie time! Thank God for filters!